Fabulous in Fiji! 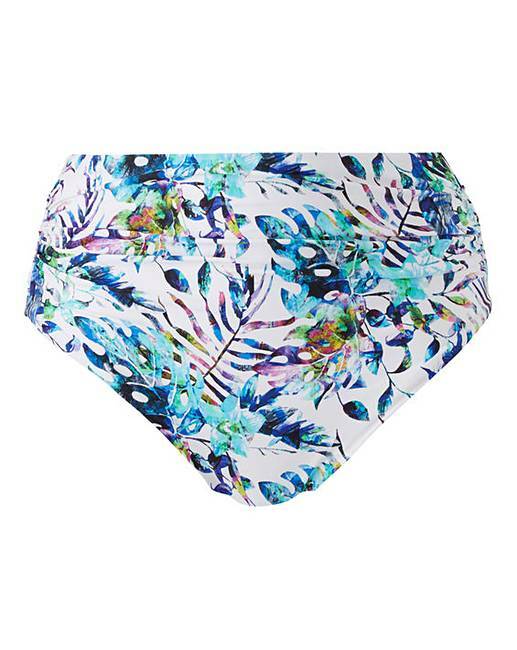 The leafy print captures all the energetic and vibrant energy of exotic locales with its azure blues, magenta pinks and sunshine yellow. In a full fit brief design to offer you higher midriff cover, with gathered ruching detail to the side to flatter your figure. Why not pair up with the matching bikini top?